Who said you can’t take it with you? Our MultiMix line combines studio-quality components and effects processing with rock-solid construction for the ultimate in compact mixers — all at prices wandering musicians will love. MultiMix FX mixers are the most compact, affordable, high-quality mixers with built-in 28-bit digital effects and choice of configurations. MultiMix FX mixers are perfect for musicians and engineers needing a portable, flexible mixer with digital effects for sound reinforcement, rehearsals, studio recording, sub-mixing, field recording, and digital audio/video computer workstation mixing. 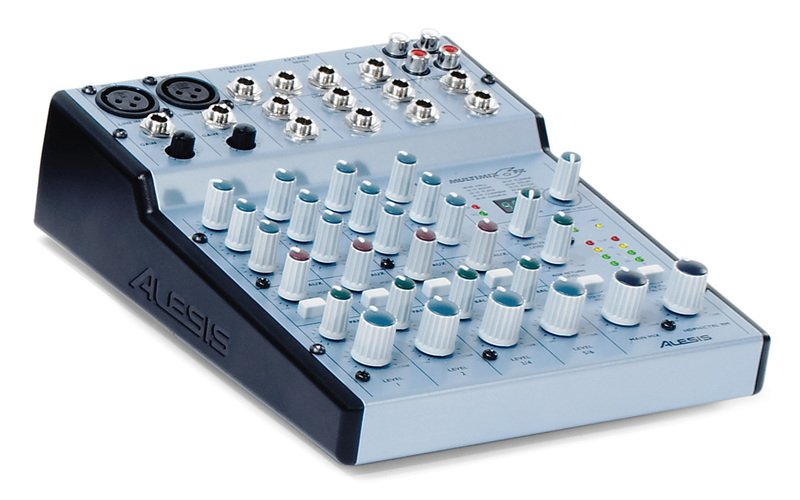 Embrace your multiple personalities: The Alesis MultiMix product line. # of Aux Sends/Returns/Type: (1/2) 1/4"